If the Ghostbusters existed, I would save up my hard-earned readies and hire them. Not only because they were what I wanted to be when I was a youngster ( and pretty much throughout my adult years ), but I would utilise their unique services to exorcise the demons that have tormented me since our 3-2 loss to Manchester United on Sunday. The manner and circumstance of the defeat has left ripples across the whole Arsenal fanbase, destroying the majority of optimism. All that is left is a desolate waste, where glory once was only darkness and misery remain. Or at least, until we win again. Arsenal have won only twice in their last seven games and that is far removed from title winning form. Adding insult to injury was the late winners scored by rivals Leicester City and tottenham, which saw both take decisive leaps away in terms of points. An abject weekend it certainly was, and with Manager Arsene Wenger absolving his players of any blame it left all Gooners with a rather acerbic taste in their mouth. The only thing that can go towards erasing the pain is maximum points against a relegation threatened Swansea City. As if losing to an injury-ravaged and average United side wasn’t bad enough, more injury woes have befallen the Gunners. Alex Oxlade-Chamberlain is set to miss two months after being scythed down by Javier Mascherano in last week’s Champions League loss to Barcelona. In terms of who will take to the field tonight, Danny Welbeck will surely be rested after clocking up the minutes since his return from injury. His vibrancy has been a rare plus point recently but it is expected that Olivier Giroud will return to the side after being a substitute at Old Trafford. This means that Theo Walcott – who seems to have taken the brunt of fans frustrations – will likely be named on the flank. His anonymous display was partly down to a lack of service but mostly down to a poor performance. He has come to the point where he must start showing what he CAN do, rather than fleeting moments of potential. Another player who didn’t cover himself in any glory against United was Gabriel, who was positionally rash and left Laurent Koscielny fighting battles by himself. Per Mertesacker was left out in the weekend as a precaution so it is hoped he will take the Brazilian’s place. Santi Cazorla is still a few weeks away from making the squad, and Jack Wilshere is not close to the eleven yet. In terms of centre midfield, Aaron Ramsey had a shocker too, but due to the inexperience of Mohamed Elneny and a lack of proper competition, it looks like he will keep his place. 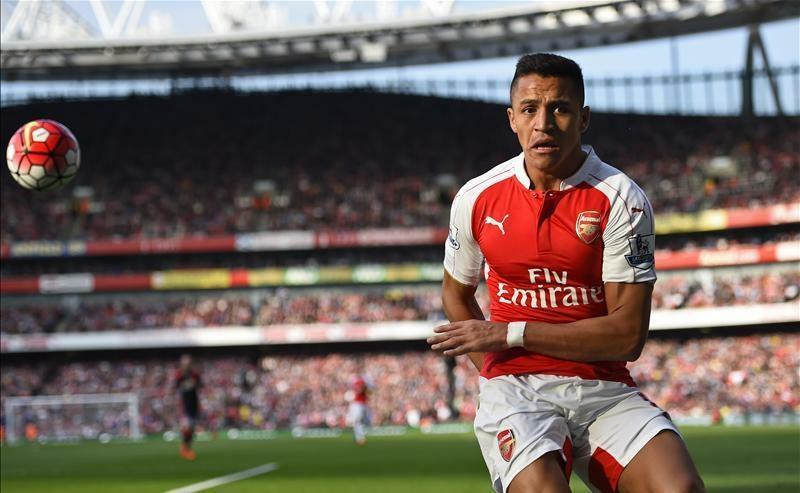 Alexis Sanchez is also on the wrong side of form, but a player cannot reclaim his touch from the bench, so Sanchez should keep his place. Hopefully Mesut Ozil – who was a risk before Sunday’s game – has recovered enough from that horror show and can make the team. Arsenal will need his inspiration when the atmosphere gets to the inevitably cagey stage when it is goalless after twenty minutes! Swansea are flirting with disaster, but can put some daylight between them and the dreaded relegation zone with a win. They boast a great record at The Emirates and their last two wins against the Gunners have been in North London. How do Arsene Wenger’s men deal with pressure? With the title slipping away and every game under intense scrutiny? If the game against Manchester United is anything to go by, then the answer isn’t positive. The talent on show is undeniable, but the time for flicks and feints is over, the time for grit and end product is now. 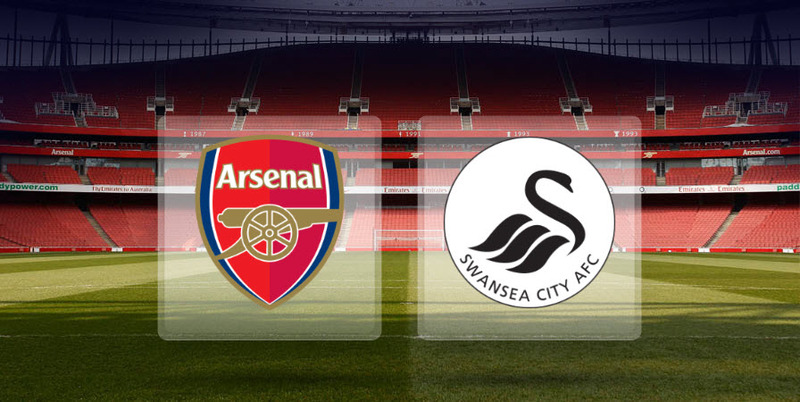 Swansea aren’t expected to name any changes in the lineup which saw tottenham grab a late winner in the weekend, and will look to play football rather than stifle, so maybe they are ideally suited to give Arsenal a bit of confidence before perhaps one of the biggest North London derbies in recent memory. Saturday is simply win or bust. With a host of players searching for the touch which has deserted them, and strikers putting up posters looking for their lost goal threat, Arsene has much to consider. When was the last time the Gunners played well? This season is still the best chance to reclaim a title that has been missing in Arsenal’s trophy cabinet for nearly twelve years. If they want it as dearly as they claim to, then today’s game is the start of a run that must continue until May.